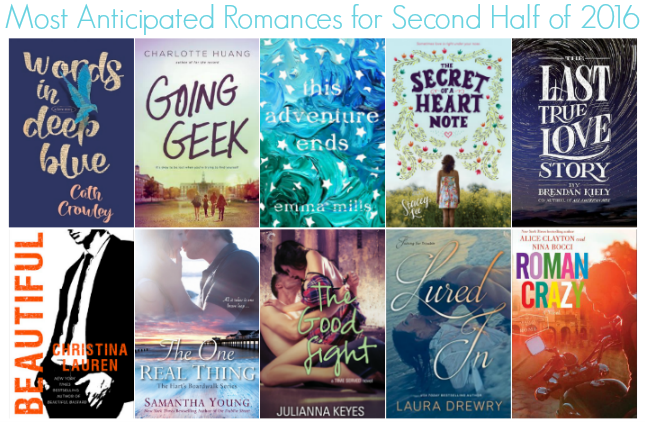 I can't believe we're already looking at the SECOND half of 2016 when it comes to our most anticipated romance reads. Where has the year gone??!! As always, there's quite a few upcoming releases that I am excited for. Some of these are YA, while most are probably Adult -- that's what I've seemed to want to read these days. Are any of these on your TBR list? If not, I hope I've put some on your radar! Let me know in the comments. for more contemporary romance goodness!! I'm really looking forward to Roman Crazy and The Good Fight.